If you're involved in show competition or are just very serious about showing off your car, you will know that the underside can be as important as the exterior when it comes to winning trophies. 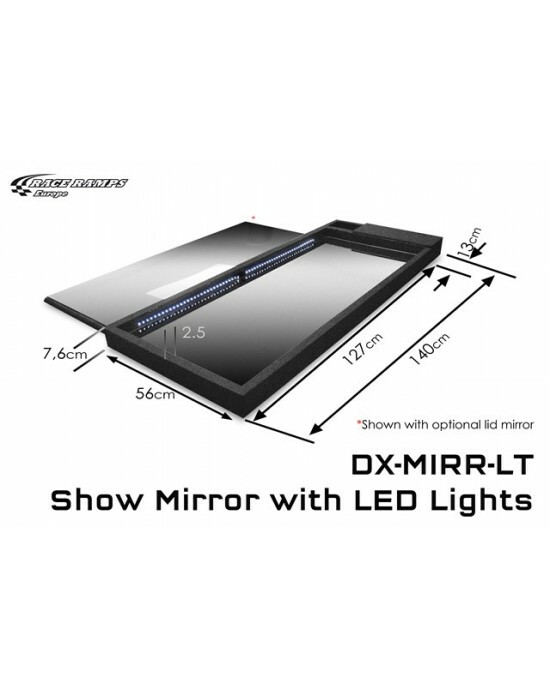 The RaceRamps Show Mirror offers a great professional looking solution that enables you to display the underside of your vehicle. The vibrant super bright lights help to illuminate the underneath of a car at dark show rooms and events. RaceRamps Show Ramps can be used to raise up the front, back, or side of the car—or get two sets and raise up the entire car to make it stand out even..
Our Service ramps are designed to lift either the front or rear of your low clearance car more than 25cm of the ground providing easy access to carry ..